Snehamoy Mukherjee has 18+ years of experience and primarily in Analytics. He is part of the strategic leadership team at Axtria, a New Jersey based analytics firm, where he is responsible for business development, solution development, delivery leadership and strategy formulation. Prior to this, he used to head the analytics practice at Technopak Advisors. 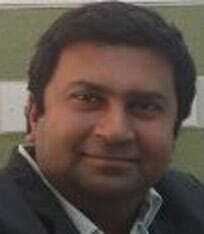 He has worked in multiple domains like retail consulting, FMCG/CPG, insurance and market research. He has a Bachelors and Masters in Mathematics and Scientific Computing from IIT Kanpur and a Minor in Engineering Management from the same institute.